Give clients the simple, functional gift of storage through the Drawstring Tote Cooler with Mesh Compartment. 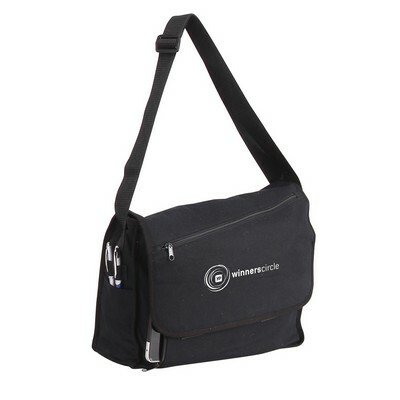 Promote the eco-friendly policies of your company with the Canvas Messenger Bag. Made of 12 oz. 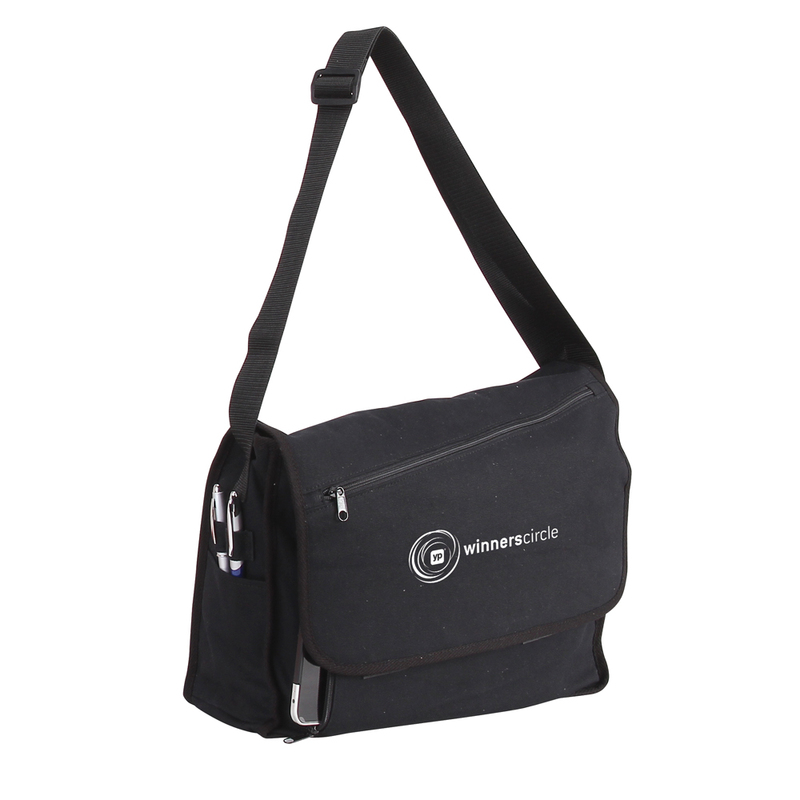 cotton canvas, the bag features a top flap covering the main compartment. It also features a diagonal, large zipper pocket, a vertical zippered 9” pocket, three additional card pockets, a zip pocket, an open pocket, and pen loops. Stamp your company’s logo on the bag and give it away at corporate and community events, trade fairs, carnivals, bag expos, and in malls to enhance your brand's image and value. Minimum number of items in each order: 60 items.